12b is the winter par 4 and plays from one of two tees to one of two greens. The temporary green (left side of the map) is a simple enough shot with a wood or long iron and a chip or pitch onto the green. 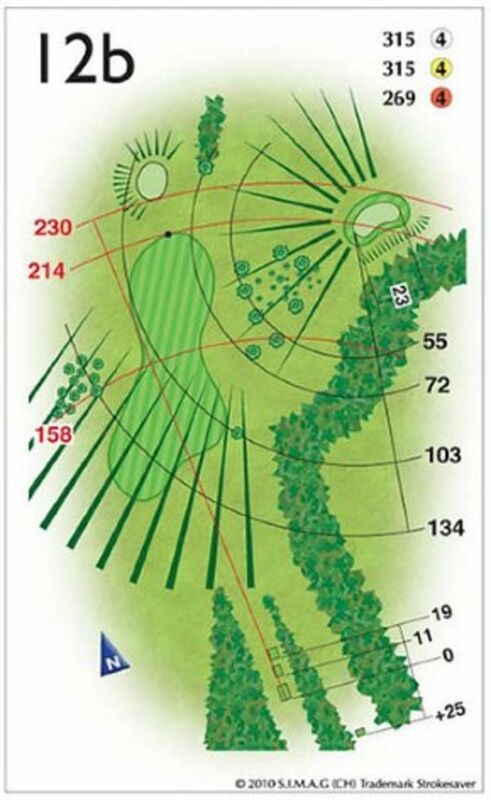 The main green (right of the map) is the 12a green and requires an accurate wedge from the fairway.